Tracing their origins back to John Smyth---who instituted immersion of adult believers as the basis of fellowship for the gathered church---Baptists have become one of the largest Protestant groups. Spanning four centuries, this narrative history follows this diverse group of people as they transition from a despised sect to a movement of global influence. 512 pages, hardcover from B&H. This volume provides more than just the essential events and necessary names to convey the grand history. 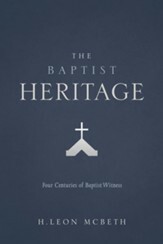 It also addresses questions that students of Baptist history frequently ask, includes prayers and hymns of those who experienced hope and heartbreak, and directs the readers attention to the mission of the church as a whole. Written with an irenic tone and illustrated with photographs in every chapter, The Baptist Story is ideally suited for graduate and undergraduate courses, as well as group study in the local church. Anthony L. Chute is professor of Church History and associate dean of the School of Christian Ministries at California Baptist University in Riverside, California. He has written several books and essays on Baptist history and theology. Nathan A. Finn is Dean of the School of Theology and Missions and Professor of Christian Thought and Tradition at Union University in Jackson, Tennessee. 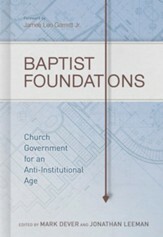 He has written widely on topics related to Baptist history, identity, and spirituality. 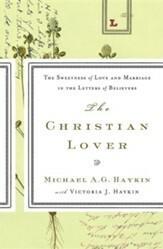 Michael A. G. Haykin is professor of Church History and Biblical Spirituality at The Southern Baptist Theological Seminary in Louisville, Kentucky. 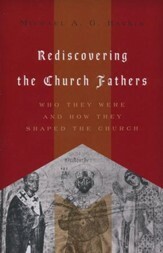 He has written a number of books on the ancient church and eighteenth-century British Baptists. 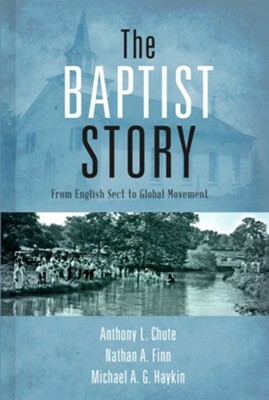 "[The authors] have written an eminently readable, thorough, and well-balanced account of the Baptist past from its roots in English Separatism to the modern context where the Baptist movement has become truly global. The authors respect the diversity and complexity of Baptist history, and they judiciously avoid any partisan agendas. . . . This textbook should be widely adopted for use in relevant college and seminary courses, as well as in church study groups." 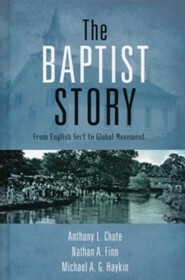 I'm the author/artist and I want to review The Baptist Story: From English Sect to Global Movement.